Xeroxis a technology leader that innovates the way the world communicates, connects and works. Xerox’s annual sustainability report details a 28% reduction in carbon emissions against a 20% target set for 2020. The company is already looking ahead to next year’s report, where it wants to unveil a verified science-based target that aligns a carbon emissions reduction with the 2C goal of the Paris Agreement. Building and maintaining an environmentally sustainable business is instrumental in creating and leading this change. Protecting the environment shouldn’t just be a nice thing to do, it needs to be a part of your business DNA. Whether you’re a fledgling start-up or a multinational corporation, a business must be purposeful and creative in its approach to building an environmentally sustainable business – and there are a number of common challenges and questions. For example, what is the best way to engage your customers on a sustainability journey? And how can you advance your environmentally friendly efforts without compromising the bottom line? By taking a step back and creating a clear plan for how you will measure your environmental footprint, you will be able to prioritise your efforts and investments accordingly - and quantitative information reinforces your efforts to stakeholders. But where should you start? It’s best to begin with a detailed assessment of your current operating environment and a thorough assessment of your current workflow - you’ll need a clear picture of the total current cost of ownership (TCO) and costs. From there, you’ll need to evaluate and access. Evaluate current operating costs and performance (and the potential savings opportunities) and access current operations in terms of overall power and carbon consumption, including paper, trees and natural resources. Once you know what you’re dealing with, it’s time to model potential environmentally friendly business solutions and ‘what-if’ scenarios. By doing this, you will get a better idea of future TCO savings associated with the modelled scenario. You can then review the benefits of your proposed changes against your physical sitemap and test them against internal policies. It’s also a good idea to provide analytics that enables fact-based discussions and designs across the organisation. Once your measurement is in place, it’s time to think about the value chain. Going green has a ripple effect – so every decision your business makes will impact your broader supply chain, and filter down to the customer. It’s a good idea to work upstream with your suppliers as their processes and services contribute to your overall environmental footprint – and then turn your attention downstream to your customers and other suppliers. 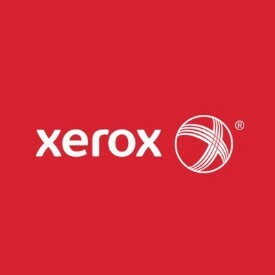 For example, Xerox’s Greenworld Alliance relies on customers to return spent cartridges and then we work with certified recyclers to process the returns - we work upstream and downstream. It goes without saying that you can’t put the organisation out of business to save the environment; contrary to the meaning of sustainability. There are, however, the economic benefits of operating as an environmentally sustainable business, including reducing your carbon footprint. It’s also important to engage your customers in your sustainability journey. A report by Unilever in 2017 suggested a third of consumers prefer sustainable brands - so ensure you’re transparent about your efforts and where appropriate, amplify your commitment and results as part of your marketing and broader CSR activities. Whether you’re starting afresh, or simply making tweaks, it’s a good idea to identify quick wins for your sustainability programme and building a ‘greener’ future. It could be as simple as evaluating whether your business is currently printing on double-sided paper as a standard practice. By turning your default setting to ‘duplex,’ you can reduce paper consumption by 50%, minimising the costs for supplies and recycling, and freeing up the device. It takes less than 30 seconds to do, but creates a pretty significant impact! It’s also helpful to discuss your efforts with employees and other businesses. For example, I recently joined a discussion at Commercial Group’s CSR day where Commercial’s partners, such as Xerox, and customers from across the UK convened to share social and environmental best practices and challenged each other to do more to drive continual improvement in the future. By encouraging and sharing ideas, motivation will increase and you’ll likely hear new suggestions you hadn’t previously considered which will be good for the environment and your organisation.